No matter how routinely you brush, your teeth seem to decay little by little with time. Teeth damage is unavoidable and overtime will affect the overall appearance of your smile. In earlier times, gaps between teeth caused by decay were fixed using silver or gold fillings, which were quite unattractive. Today, tooth colored fillings that flawlessly match the natural color of your teeth are available and have replaced the traditional metal filling. Dr. Davoudi at Mesa Family Dental carefully restores decayed, cracked, chipped, broken, and worn-out teeth using tooth colored fillings. Dr. Davoudi and her associates at Mesa Family Dental are skilled in the immaculate art of matching the color of fillings with the natural shade of your teeth so that they are hardly distinguishable. Tooth colored fillings provide a more natural-looking appearance than older metal fillings. Unlike gold or silver fillings, where some natural tooth structure has to be removed, composite fillings do not require any such removal and bond directly on the tooth’s enamel. Additionally, these colored fillings are less expensive than other related procedures like dental crowns. Tooth colored fillings are highly preferable for decayed and damaged teeth because they do not contain toxic substances like mercury and are heat-resistant, unlike traditional metal fillings. Also, tooth colored fillings do not expand or constrict during fluctuations in temperature, which prevents teeth from cracking or the fillings from falling out. Once your smile is reconstructed with tooth colored fillings, it is crucial that you continue good oral hygiene in order to avoid future decaying of your teeth and to help the current tooth colored fillings last longer. 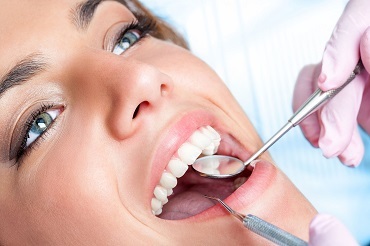 Tooth colored fillings are highly durable and have proven to last more than 10 years.